This afternoon I flew from Naples to Athens with Easy Jet. It’s the first time I’ve flown with Easy Jet and the baggage restrictions were a little weird. Depending on which company I use, I’m normally allowed to have 3-7 kg in cabin baggage. The checked baggage has always been 20 kg. Not so with Easy Jet. I was only allowed 15 kg in checked baggage. However, I was also allowed 15 kg in cabin baggage. The Easy Jet baggage restrictions are strange. This was my 9th flight since I left the Netherlands 11 months ago and it’s the first time I’ve never been allowed to carry 20 kg in my backpack. 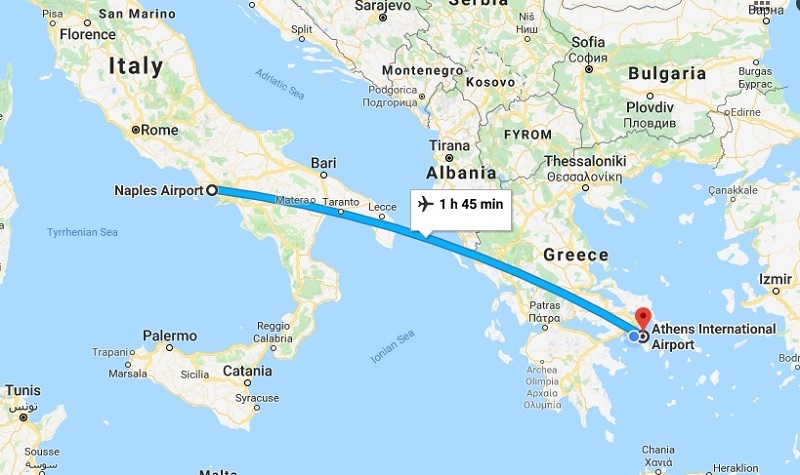 When you do the maths, I was able to carry 30 kg in baggage for the Easy Jet Flight from Naples to Athens. That’s actually more than the norm (in my experience), but I have to wonder why the Easy Jet baggage restrictions are so different from those of the other companies. During the last 11 months, I’ve been gradually getting rid of stuff and making my bags lighter. Having less stuff makes it easier for me to travel. For one thing, my bags are lighter to carry. For another, I don’t normally have to worry either of my bags will be too heavy to fly. These days the combined weight is generally 22 kg or less. When I was preparing my bags for this trip to Athens it was the first time in a long time that I was worried my backpack may be too heavy to meet the weight restrictions for checked luggage. So the little bag I use to transport my electronics became unusually fat and my backpack suddenly seemed too large for my needs. I have no idea why the Easy Jet baggage restrictions are so different from the norm. I just know it made my packing a little more difficult than it needed to be. The Boscaiola Pizza in Naples Is the Best! Next Article Next Article: Why Are There so Many Tiny Churches in Greece? Does Rolling Clothes Really Save Space When Packing? You Bet! Copyright © 2019 Steve Calvert. All rights reserved.